Drag points A, B, C, D, and E around. Observe how the standardized points move in response. The two LSRL y=f(x) and x=g(y) for these standardized points form and angle shown below. 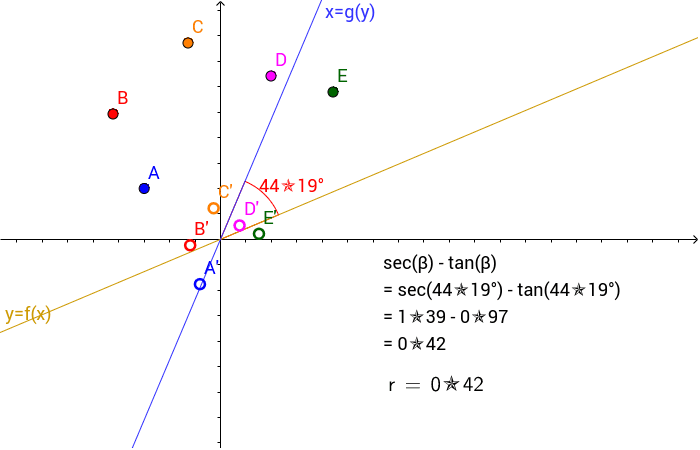 The correlation coefficient is equal to the difference in the sec of this angle and the tan of this angle.